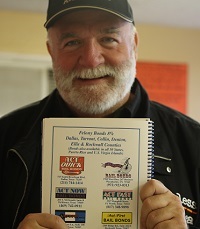 Bill Windsor is shown here showing his personal edition of the Bail Bond Directory, a gift from Ruby and Victoria at Act Swift Bail Bonds in Waxahachie, Texas. Bill says "Don't leave home without it." Of course, the corrupt law enforcement officials, prosecuting attorneys, and judges may not let you have a bond by inventing some outlandish story. Bill Windsor is alive and reasonably well at 7:00 pm on New Year's Eve en route to Missoula Montana. Bill reports that his day hasn't gone as well as hoped. He seems to have lost one of his credit cards. He went to a bank to cash a check that he received, and the check was no good. And at 7:00 pm, NONE of Bill Windsor's email accounts are working. He resets the password, and they still don't work. Bill didn't make it very far on the road today, but he did get a lot done. He produced, printed, and mailed a number of legal things; sent money orders to two court reporters for proof of all types of judicial and attorney wrongdoing; bought a new burner phone; gave an old phone to a trucker and asked him to just keep it on for a few weeks as he traveled; sent some stuff to his Montana attorney; canceled odds and ends; renewed his hidemyass software license; checked in and out of several hotels; bought a new cap that doesn't say "Lawless America" (much better for traveling incognito); and got settled in for a night of scanning legal filings made while he was in the slammer so he can be sure all the defendants have copies. Bill wanted to go out and celebrate what may be his last New Year's Eve as a free man, but he says he can't keep his eyes open. He continues to be very sleep-deprived from his 53 days in the Ellis County Texas Jail. William M. Windsor isn't sure when he will get to Missoula, Montana. And he won't be announcing his arrival at first. Bill Windsor is stopping to see a couple of people along the way, and there is no deadline for him to get there. 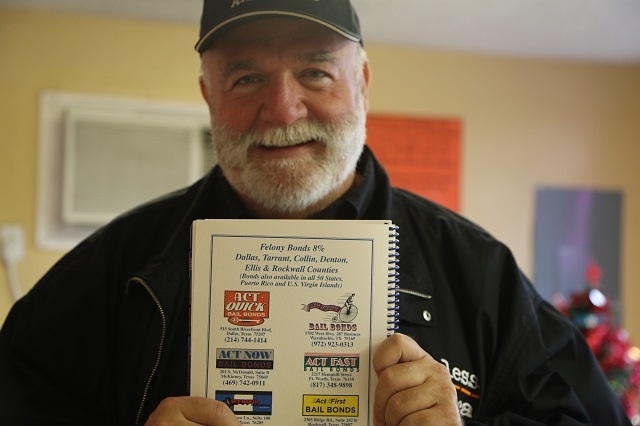 There used to be a January 21 deadline, but for a $100,000 order, Bill Windsor thinks that deadline just went away. He might get there by January 20, and he might not. If Judge Cindy Ermatinger corrects her actions of December 30, Bill Windsor says he will be there before January 21 as he would never violate a legitimate court order. When Bill Windsor spent 53 days in the Ellis County Jail, he estimates that he met 100 inmates. Not one other than Bill Windsor had never smoked pot or used drugs. Most were active users of something. And only a couple of others did not have a tattoo, as Bill Windsor doesn't. Bill Windsor told the men in jail that when he got out, he would go to Colorado, where it's legal, and smoke some marijuana. That will be happening soon. But no tattoos! The sick, evil Joeys have published that Bill Windsor as been sending private messages to his supporters telling them that he plans to "make a run." Bill Windsor says this is partially true. He is planning to make a run to the grocery store for some Peppermint Blue Bell ice cream; he says it is especially tasty during the holidays. But Bill Windsor has not sent any messages to anyone about making a run. These people will say anything, and the very sick Sean D. Fleming continues to call the bail bond company, one of Bill Windsor's attorneys, and others. Sean D. Fleming could not have a real job; he must work for the government because he seems to spend full-time defaming Bill Windsor and tortiously interering with his business relationships. 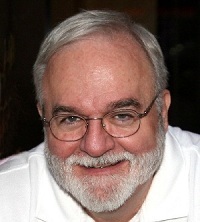 Bill Windsor reports that he will work tomorrow on his lawsuit against everyone in Texas with the last name of Hargrove. Seriously, it will be against Casey P. Hargrove, Clyde Hargrove, Hargrove Real Estate, Shonda Hargrove, Morgan Hargrove, David Hargrove, Lulubelle Hargrove, Mrs. Clyde Hargrove, and all the Hargrove leaders of the Ellis County gang known as Joeyisalittlekid. Bill must also prepare his 42 U.S.C. 1983 lawsuit against the Ellis County Mafia (Judge Bob Carroll, Sheriff Johnny Brown, District Attorney Patrick "Bad Suit" Wilson, and their cohorts). If you don't know the story of Bill Windsor's recent 53 day experience as a political prisoner, please read about it. Part 1 is the background to the story. Part 2 discusses when Bill Windsor was handcuffed and taken to jail from a hearing in a civil suit that he filed against the people who have viciously defamed him in what is the largest case of defamation in U.S. history. Part 3 details early days in jail and attempts to get someone/anyone to help; the conspiracy to keep William M. Windsor in jail begins to come to light. Part 4 covers events from November 26, 2014 through December 2, 2014 as the corruption of Judge Bob Carroll erupts in full bloom. Part 5 introduces Ellis County Texas District Attorney Patrick Wilson into the corruption picture. Part 6 leads to a December 19, 2014 at which Bill Windsor was ordered released by Judge Cindy Ermtinger. If you ever find yourself or a loved one in jail in Texas, call Act Swift, Act Quick, Act Now, and any other ACT ____ Bail Bond service. Bill Windsor says they are the greatest!